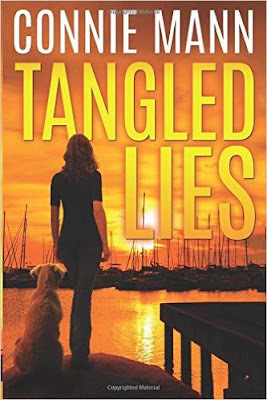 Tangled Lies was a treat to read! I've read Mann's work before, so I knew to expect solid writing and great chemistry between the main characters. What I didn't expect was how deftly she wove the plot. It kept me guessing! I love thrillers and mysteries and romantic suspense, but I can usually guess who the villain is, what they want, etc, before the end of the book. Not so with this one. Mann dropped enough hints so that I was constantly formulating theories, but I could never exactly solve the mystery. Kept me hooked!! And yet, when I reached the end, everything just fell into place.